Find out a bit more information about who runs The Unity Centre and the organisations that call it home. 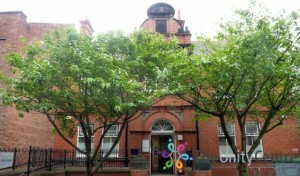 The Unity Centre is West Cheshire’s Multicultural Hub, currently housing 9 different community organisations working in partnership with Cheshire Halton and Warrington Race & Equality Centre and each other – Cheshire Asian & Minority Communities Council, Sanjhi Indian Association, the Wah Lei Chinese Association, Xin Hua Chinese Association, Japanese Mums and Tots, Nipponkai, Kolobok, and West Cheshire Multicultural Women’s Group. CHAWREC are responsible for the running of The Unity Centre and you can find out more about the work they do on their website. The Unity Centre is a focal point for BME communities, offering a wide range of targeted activities and services from one central point. Members of the wider public are also encouraged to get involved in the Centre, whether by coming along to activities hosted here or volunteering to help. We have various rooms for hire, such as our large multipurpose activity room and our IT Suite. Please subscribe to our newsletter to be kept informed of events and activities being held at The Unity Centre! You can also see a calendar of upcoming events here.